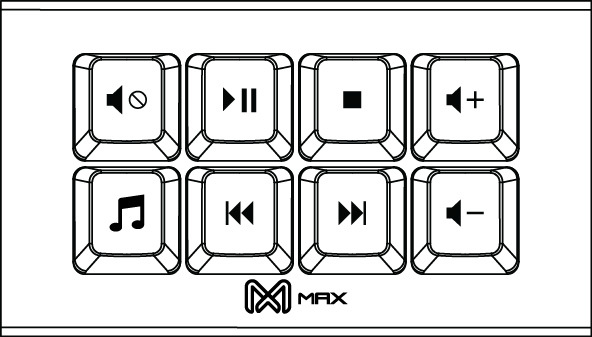 Each key allows you to reprogram and use it as a media pad, OSU! rhythm game keyboard or even dedicated shortcut keys. With our simple and easy programming app, you can now create your own macros / media keys and combination keys without any coding experience!
. Falcon-8 works on Windows, Mac or Linux. Must be plugged into your USB host port that provide 100 mA (Milliamps) at 5 V (Volts). I bought this product after purchasing the switch tester also available on this site. It was a breeze to program the keys with the program I downloaded from this website. I had a question and was quickly responded to by customer support. I would highly recommend this product!